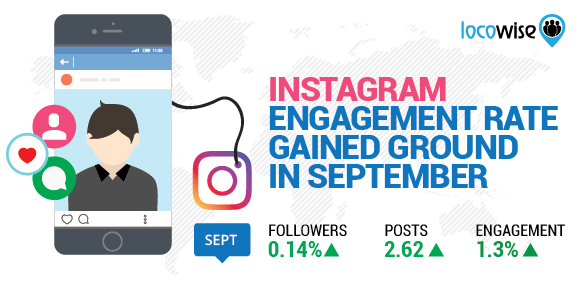 Welcome to our Instagram Growth and Engagement study for the month of September. 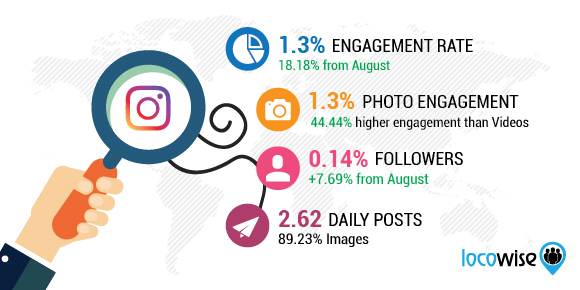 Just like every month, we analyse 2,500 Instagram profiles and their results. This helps you see the trends on the platform, and compare yourself against the standards. Want to check your own growth and engagement stats and compare your brand to profiles in our study? Take a free trial of Locowise and use our Instagram Analyser tool. Follower growth was at 0.14%. This is a 7.69% increase compared to August, but it’s still the second lowest growth seen since we started doing these studies in April 2015. Engagement rate was 1.3% of the total followers. This is an 18.18% increase compared to August and it’s the highest engagement since October 2015. Engagement rate on a photo was 1.3%, while it was 0.9% on a video. You gain a 44.44% boost in engagement by posting an image rather than a video. Brands we looked at posted 2.62 posts per day. Images stood for 89.23% of all content posted. Likes stood for 98.3% of all the interactions, while 19.58% of all comments were posted on video posts. 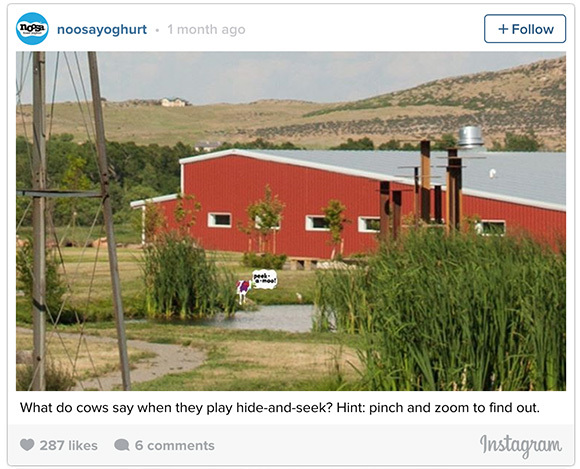 There are now more than 500,000 businesses using Instagram advertising. The number of companies advertising on the platform has doubled in last 6 months. Top 5 countries are US, Brazil, UK, Australia and Canada. 50% of Instagram users follow at least one business, 60% say that they learn about a product or service on the platform, while 75% take action, such as visiting a website, after looking at a post. Instagram also revealed some interesting stats and advice with focus on fashion-conscious users. Any social media manager can learn something from this report. “Fashionistas” check Instagram every day, 15 times per day, and they follow 353 accounts on average. They follow 2.5 times more people than the average user. More than 75% of them are under 34 years of age. More than 1.5 million businesses have converted their Instagram accounts into business profiles since the launch of the businesses profiles two months ago. Several updates to the direct response ads are rolling out over the next few weeks too. These include the CTA button that now gets highlighted and goes blue when user shows interest in or around the ad. The button now also remains at the bottom of the screen even when the user enters the comments section of an ad. The first feature we’re introducing is a keyword moderation tool that anyone can use. Now, when you tap the gear icon on your profile, you’ll find a new Comments tool. This feature lets you list words you consider offensive or inappropriate. Comments with these words will be hidden from your posts. You can choose your own list of words or use default words we’ve provided. This is in addition to the tools we’ve already developed such as swiping to delete comments, reporting inappropriate comments and blocking accounts. Photo maps on user profiles are being removed. Here’s what Instagram had to say: “Photo Map was not widely used, so we’ve decided to remove the feature and focus on other priorities”. Instagram Stories have been updated too with several useful features. You can now save your Stories content, you can mute Stories from specific users, and there’s now an ability to choose colours for the text in your Stories. “Save draft” is now open to all too. It’s something most social media managers will be happy to see. A small thing, but definitely helps in the day to day workflow and keeps you more productive. The new zoom feature has seen adoption from some brands. See an example here. Have you considered if and how this new feature can be used by your brand?